Enjoy Bratislava without worries on two wheels! The Bike sharing project brings up to 550 bikes to the streets of the capital. Get where they need you quickly and conveniently. Try an active relaxation in the city center over the weekend or discover other city districts for a change. 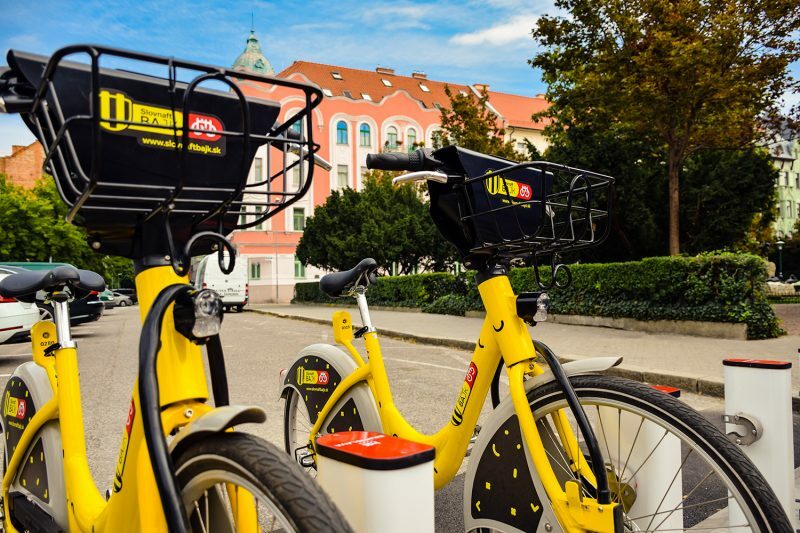 Yellow bikes can be found at 73 docking stations in 4 city districts: Old Town (Staré mesto), Nové mesto, Ružinov and Petržalka. With dozens of stations, you can park your bicycle anywhere and borrow it for your next trip. Thanks to bike sharing you can easily avoid traffic jams and help the environment.